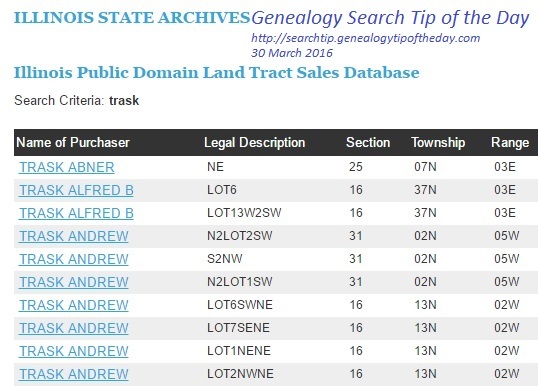 The database, “Illinois Public Domain Land Tract Sales,” on the website for the Illinois State Archives indexes over 500,000 land sales of public property, including state and federal land. This database includes sales that are not in the Bureau of Land Management website. This entry was posted in Uncategorized on March 30, 2016 by mjnrootdig.